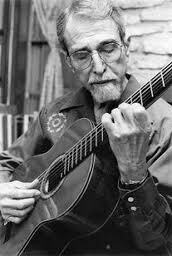 Américo Parades was born Sept. 3, 1915 and died May 5, 1999. The scholar is best known for his 1970 book, With His Pistol in His Hand. Parades grew up in Brownsville, Texas, and, inspired by the corridos he heard, he wrote poetry and other stories. He taught folklore and creative writing at the University of Texas at Austin, where he wrote his dissertation on Gregorio Cortez. With His Pistol in His Hand tells the story of Cortez, a ranchhand who kills a Texas sheriff after a case of mistaken identity and then spends his life running from the law. The book was made into the 1982 movie, The Ballad of Gregorio Cortez, starring Edward James Olmos. Texas singer-songwriter Tish Hinojosa wrote the song, Con Su Pluma en Su Mano (With His Pen in His Hand), in honor of Parades. His name appears on schools in Austin and Brownsville, Texas. He was awarded the Charles Frankel Prize from the National Endowment for the Humanities in 1989. The University of Texas has a great website devoted to his life and work.